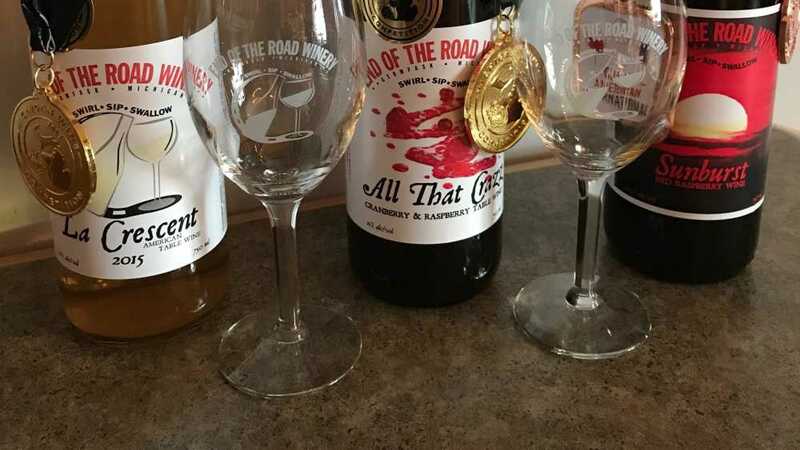 Stop for a taste.... Leave with an Experience.... Wine Tasting and Sales The winery owned and operated by Jim and Robin Barker is located on the old family farm, at the end of Burns Rd., hence the name "End Of The Road Winery". The winery and vineyard, established in 2015/2016, is centered between the villages of Germfask, Curtis and Blaney Park of the Upper Peninsula of Michigan. We are proud to offer tastings and sales of our award winning wine. We specialize in fruit wines and cold climate grape wines, red or white, dry or sweet.